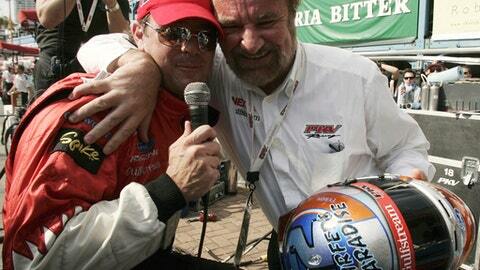 INDIANAPOLIS (AP) Former CART champion Jimmy Vasser has shut down his IndyCar team after 14 years and seven victories, including the 2013 Indianapolis 500. KV Racing Technology, owned by Australian businessman Kevin Kalkhoven and Vasser, announced the long-rumored move Thursday. It’s possible Vasser and the team’s third partner, James Sullivan, will be involved in another effort for the Indy 500 in May. KV Racing sold its equipment to fellow team owner Ricardo Juncos, who plans to run in the IndyCar Series this season. Vasser, the 1996 CART champion who joined the team as minority partner and driver at the end of its first year, thanked Kalkhoven for allowing him to team owner while still driving. KV Racing won the Indy 500 with driver Tony Kanaan. The team raced with Sebastien Bourdais the last three years, winning four races, but it had not hired a driver for 2017, which fueled speculation that it was shuttering the operation. The IndyCar season begins March 12 in St. Petersburg, Florida.